I the Mighty - "Cutting Room Floor"
Hellogoodbye - Would It Kill You? In one word, The Way I Fell In is simply "beautiful". Beautiful harmonies, beautiful songs, and of course, the beautiful vocals of the pair that is Jessica Leplon and Justin Wiley create the pop masterpiece of the year. Every song has it's own style, and not one song seems like filler. The jazzy "What You Can't Control" shows The Morning Of's excellent song writing skills, straying away from the normal songwriting patterns allowing Jessica to use her vocal strengths in ways most singers couldn't. "The Ones That Fall Apart" is a harmony filled pop-rock gem, with no dull moment in the entire song and all the instruments arrayed in a beautiful web of sound. "Cobwebs and Cables" shows some technicality for a pop band with a verse structure that is anything but conventional, with choruses that display Justin at his best. "I Know You Know" is a Jessica only track, with only a backing acoustic guitar and a saxophone at the end. However, the song seems a lot less simple once you know that it was recorded in only one take, making the outstanding vocal performance even more special, as Jessica shows she should be declared one of the best female voices around. "Heaven And Hell" welcomes a third beautiful vocalist to the mix, with Copeland's (R.I.P. Copeland) voice Aaron Marsh joining in to complete one of the best vocal trifectas of the year. 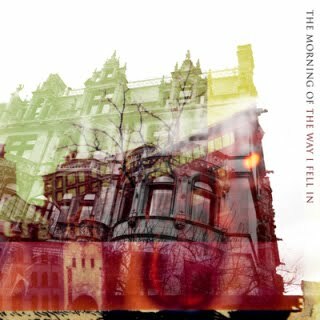 It is upsetting to see The Morning Of on the verge of not being a band anymore, as this record is a vast improvement over their first (Note: Justin has clarified and said the band is going strong, and there should be a new record in 2012). It is almost impossible to imagine anymore growth for the band, though with the vocal talents of the band, anything is possible for their future. Listen to the band and show them your love on Myspace here.